What can I send to Egypt? What items are restricted? Customer's name must match on both the collection & delivery address to prevent any customs issues and delays. Please read the Egyptian Destination Page prior to booking to ensure you are familiar with the customs process before the bags arrive in Egypt. You may be going on holiday to Egypt with plans to enjoy one of the all-inclusive seaside resorts, or to visit the country’s many historical sites. Either way, sending your luggage with Send My Bag means that you can bring with you many clothes and other essentials to see you through to the end of your visit, while avoiding potential excess baggage fees and the hassle of waiting around at baggage drop or luggage carousels. You might wish to engage in some outdoor activities while you are in Egypt, such as diving, snorkelling or playing golf. In this case you will need to bring heavy equipment and specialist clothing with you. Send My Bag can help by shipping these oversized items, allowing you to use your own familiar equipment rather than having to hire equipment when you arrive. Send My Bag’s carrier service is also great for students that are relocating to Egypt to study or to complete research. Being able to ship their possessions to Egypt makes it a lot easier for students to transition to a new way of life abroad. An easy option is to send your luggage and boxes to Egypt with Send My Bag. This is a great solution if you are going on an activity break to Egypt and you need to bring lots of specialist clothing or sporting equipment. Students and researchers can also benefit from being able to bring more of their possessions with them than they could bring on a plane. Send My Bag takes care of your luggage for you, allowing you to focus on exploring Egypt. To find out more about sending luggage to Egypt, visit our ‘How it works’ page, or our ‘FAQs’. You may not be aware that Egypt has a considerable number of golf courses. Among the best are Allegria, Katameya Dunes and Taba Heights. If you would like to sample the courses in this less than obvious location, then you don’t have to rent golf clubs when you are there, but can ship your own clubs with Send My Bag. This will allow you to travel without being weighed down by heavy clubs. You can also avoid oversized baggage fees from your airlines by sending your golf clubs. Read more about how to send golf clubs with Send My Bag, including how best to pack up your golf clubs. If you are thinking of moving to Egypt permanently, or if you are considering accepting a lengthy work contract there, you will have to consider international removals to Egypt in order to take your possessions with you. Before you give anything to the movers, however, do pack everything up carefully so that it all arrives in one piece. Egypt has a number of top-class universities and many valuable archives. Popular universities include the American University in Cairo, Cairo University and Ain Shams University. If you are a student moving to Egypt to study or do research, you will need to bring a lot of possessions with you, such as your course textbooks and many other everyday items, like clothes and DVDs, so shipping your possessions is a useful option. Read more about student shipping on our student removals page and find out how to receive your student discount. Sending a parcel to Egypt is a good option if you leave some items at home when you move to Egypt. It’s simple to send a parcel to Egypt with Send My Bag. You can just ask a friend or family member to put the forgotten items in a box and send them on to you. Or, friends can send you care packages to help remind you of home. Make sure you choose a sturdy box when sending a parcel to Egypt and tape it up well so nothing gets damaged in transit. Find out more about sending a parcel and learn what you can send with Send My Bag and how to package your items. You could try air freight to send large bulky items like a snooker table or a bed. This kind of service usually takes one to two days but can be quite an expensive option. The bigger/ heavier your shipment, the more you will have to pay. You will probably also have to pay for the services of a customs agent to look after customs clearance for you, and you need to think about the cost of getting your items to and from the airport. The price could, therefore, quickly mount up. If you send internationally by air freight to Egypt your items will likely arrive at one of the major airports such as Cairo Airport or Alexandria Airport. You could opt instead for sea freight or container shipping to transport your possessions to Egypt. This is another option for big bulky items. Since sea freight can take a number of weeks, it is best if you don’t need to receive your items immediately. This option can be cheaper than air freight, but you will still need to use the services of a customs agent and will need to arrange how to get your items to and from the ports. This means the cost could be more than expected. When using container shipping to Egypt, your items will likely arrive at the Port of Damietta or Port Said. Based on 38957 independent reviews. The process took only a few minutes for a service that saved me much more time and money! Consignee will need to present their Passport and Entry stamp to Egyptian customs before the items will be released for final delivery. Therefore, if sending items ahead of your travels, items will only be cleared once the consignee is in the country. If the consignee of the shipment is unable to provide customs with the required information within 3 days of the shipments arrival, Egyptian customs will charge a storage fee of roughly 3 EGP per kilo, per day. Egypt’s capital city of Cairo is the largest city in the whole of Africa with a very high population density. It is also heavily populated with places of interest to occupy the most energetic of travellers. 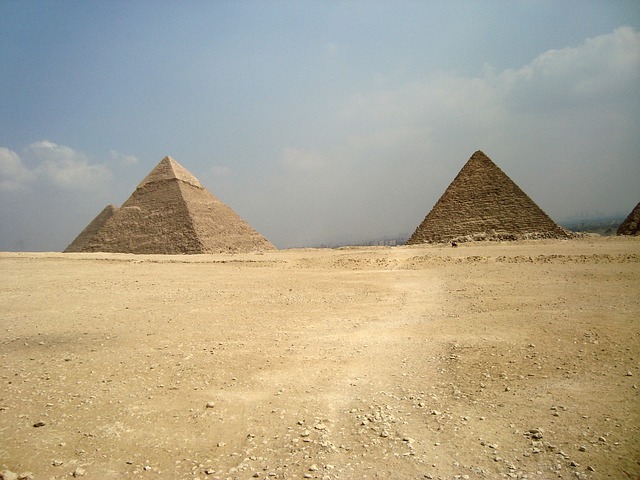 Things to visit include the Gizeh Plateau, the Egyptian Antiquities Museum, the Saqqara Pyramids, the Mohamed Ali Mosque, and many more linked to Egypt’s ancient past as home to one of the most powerful dynasties in history. There is also plenty to see in other regions of Egypt. The city of Alexandria is another treasure trove of historical sites and museums. Here you can visit the Catacombs of Kom el Shoqafa or peruse the collections in the Alexandria National Museum or the Royal Jewelery Museum. Egypt’s coastal resorts are loved by holidaymakers, who can enjoy snorkelling, scuba diving, wind surfing and many other water sports there. Popular areas for holidaymakers include Sharm El Sheikh, Nabq Bay and Hurghada. Egypt has a desert climate with hot summers and mild winters. The average temperature in Cairo in January is 14°C (56°F), and 28°C (82°F) in July. In the springtime Egypt can also experience dust storms, which are known as hamsin.